I actually built a couple of IST testers today and i'm okay with them. the scale is insane i have to keep reminding myself and putting them next to marines to prove i'm not wrong. 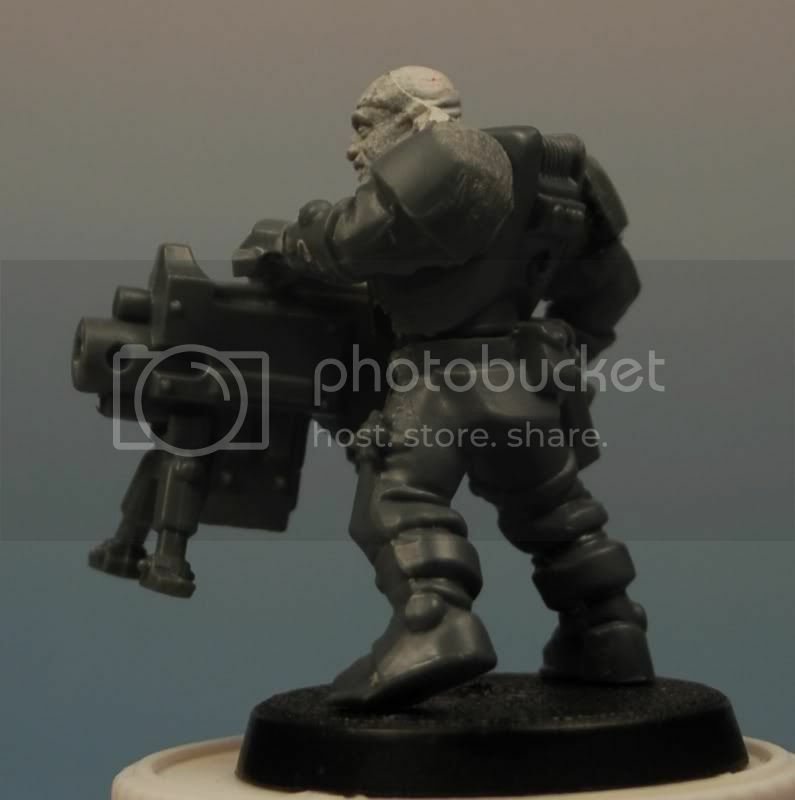 years of being drummed into me that a preson is 7.5 "heads" tall, to find these guys are 5 or 6 isnt easy to adapt to. so the first guy i knocked up was this fellow. 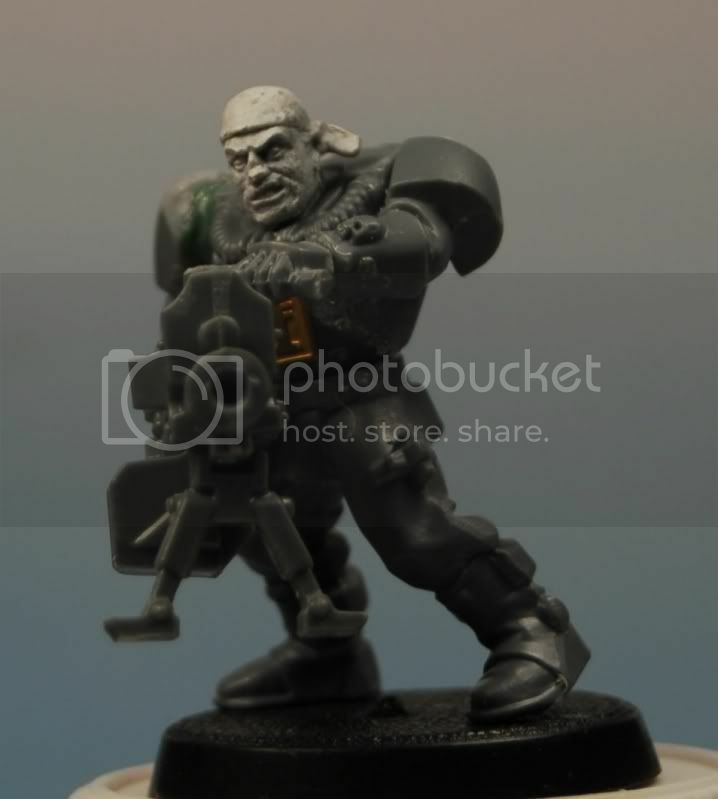 he's intended to be a vertran, equipped with a storm bolter and in charge of a group that will include plasmas. 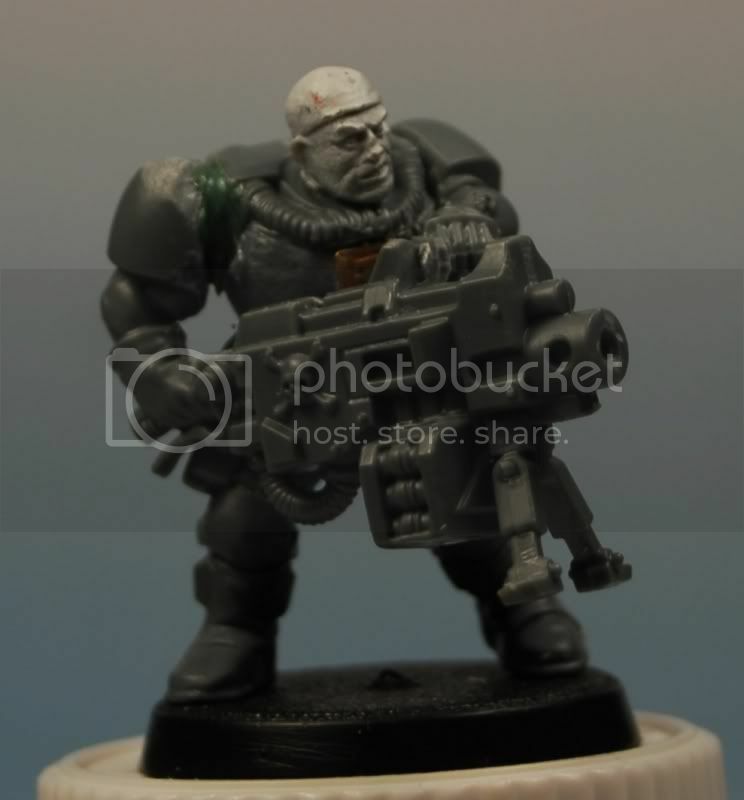 this next guy is destined for the Lord's retinue as one of three heavy bolter "counts as servitor" guys. reposing and GSing aside, i'm not sure i like his head, the expression is a little comical, but i can live with it. lastly the GS and final "incinerator" incarnation for one of my elite =][=. These stormtroopers are really oozing personality & character. I think you've really captured the essence of your vision for these guys & I'm looking forward to see them in full squads. 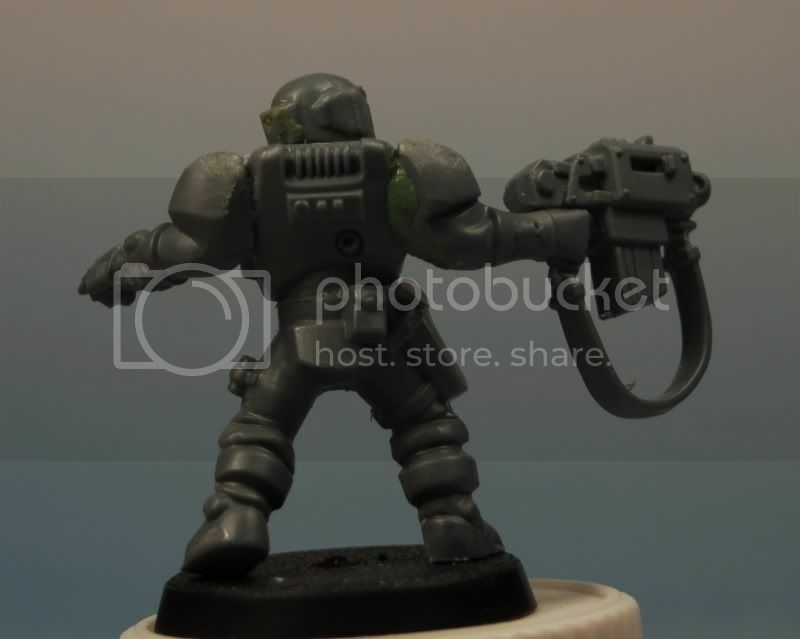 The ST w/stormbolter: the head must've been hell to do, having to drill out the IG helmet to mount it on the metal head (which is perfect for a veteran). Question though: Why is his free hand pointing away from where he's looking? 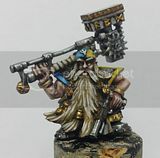 Heavybolter: That sneer, what a sneer! 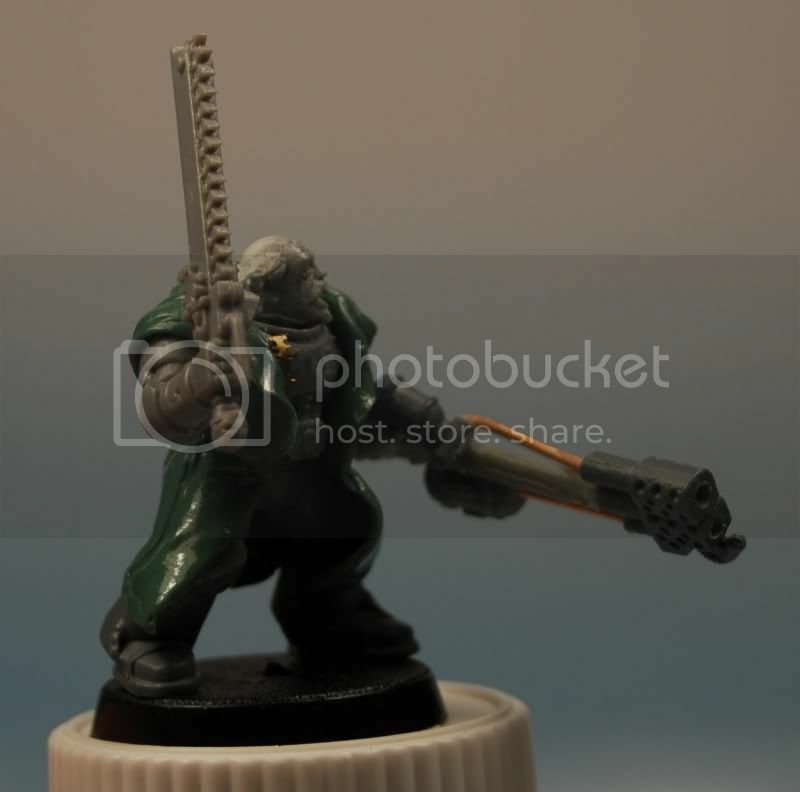 Inquisiter: Brill conversion with the incinerator! It's very unique & gives off the master-crafted impression. Hmm, the coat is indeed bulky over the power plant area; it makes him look a tad like a hunchback...I would suggest shaving it down; it will definitely add to the overall look of this model. All in all, lovely stuff, Karitas. Many thanks for the rsponse HKD, it's really very much appreciated. the reason for the pointing hand. well i honestly didnt know what to do with it, i wante his chest exposed, and i wanted him to look like he was in charge seeing as hes the squad leader. 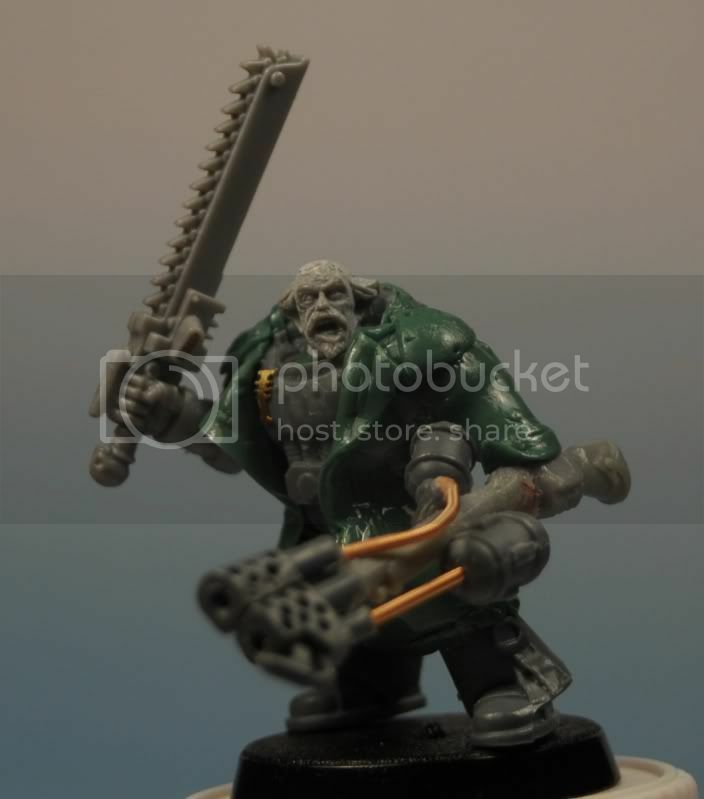 a combat blade just didnt look right, and i was riffling though my bits box and found the pointy hand from the AOBR sgt.something in my brain said "yeah, do it". 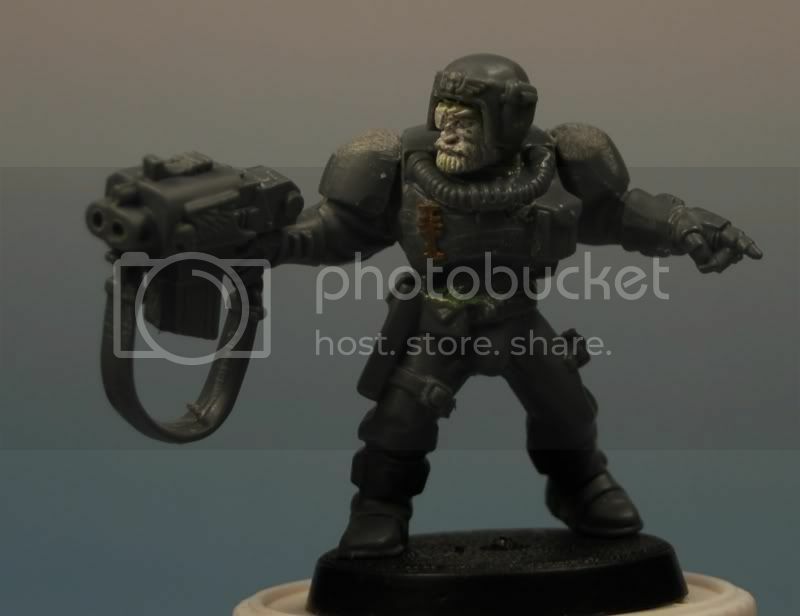 and i tried it, i deliberately pointed it away from where hes looking because a0 thats what it is on the AOBR sgt and i wanted to "pay homage" also i like the way he looks like he's holding something off while he tells his men to flank. 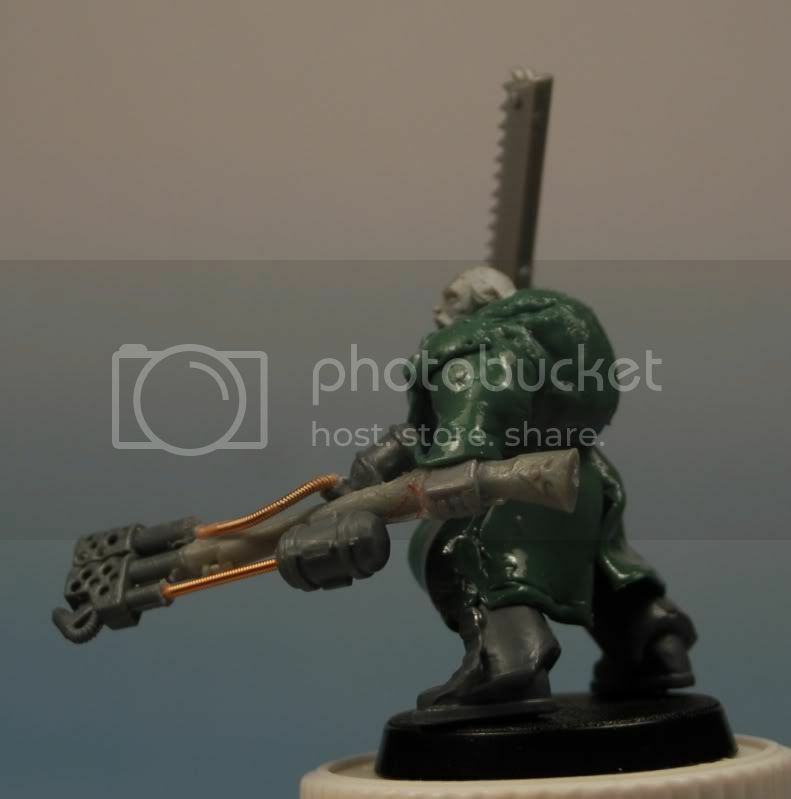 i can understand it might look "off" but usually my minis have a sort of "internal dialogue" while i'm building them, even if its only "sustained fire fce" like the sneerer and this Vet's pose told me a story so i kept it. the cot i will shave down hopefully i can patch it smoothly, if not i'll cover any nastyness with some bags or something. After you explained the internal dialogue concept, I found that looking at your models became more meaningful altogether. I fully understand where you're coming from because I try to do that with each of my models as well, but regretfully, not as brilliantly as you've done. 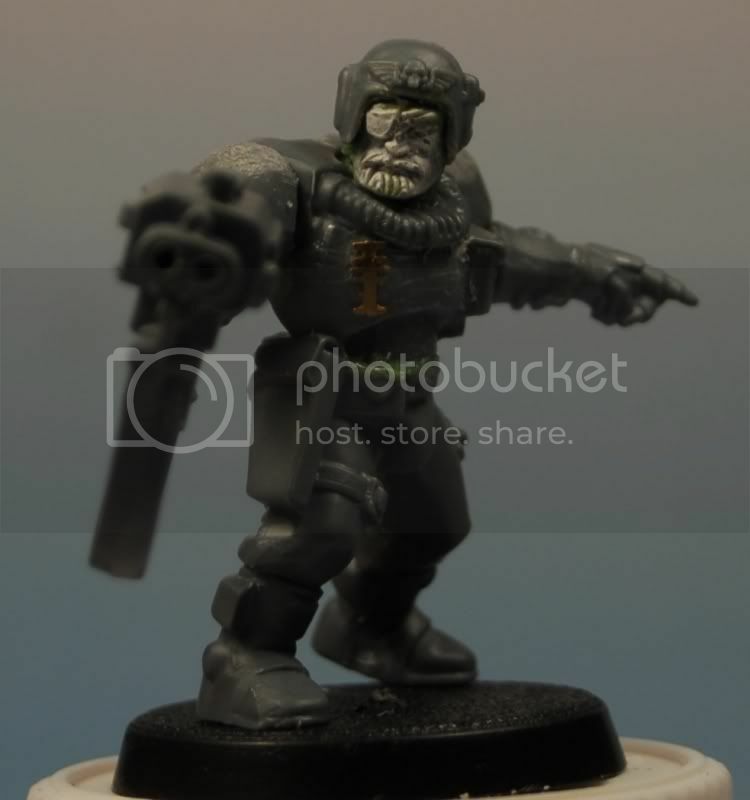 :) As for the empty helmet, hey, there's nothing wrong with using a shortcut as long as the end product looks good.